Roomy, rugged and built for fun. Get more room for less! 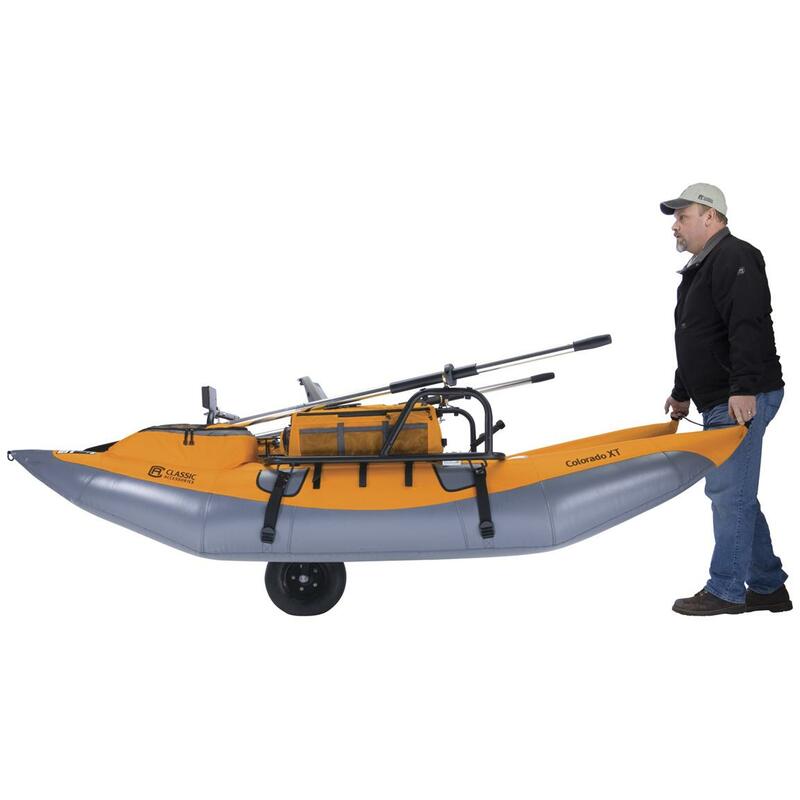 The Colorado XT is a 9' high-capacity Pontoon with transport wheel and removable stripping basket. It has removable gear bags with 20 pockets and 2 customizable drink holders. The 2-position motor mount and battery platform let you add your trolling motor. Comes with 2-pc. 7' aluminum oars with brass oar locks. The Colorado XT Pontoon is rated 4.9 out of 5 by 20. Rated 5 out of 5 by Mikenbella from Better than good! 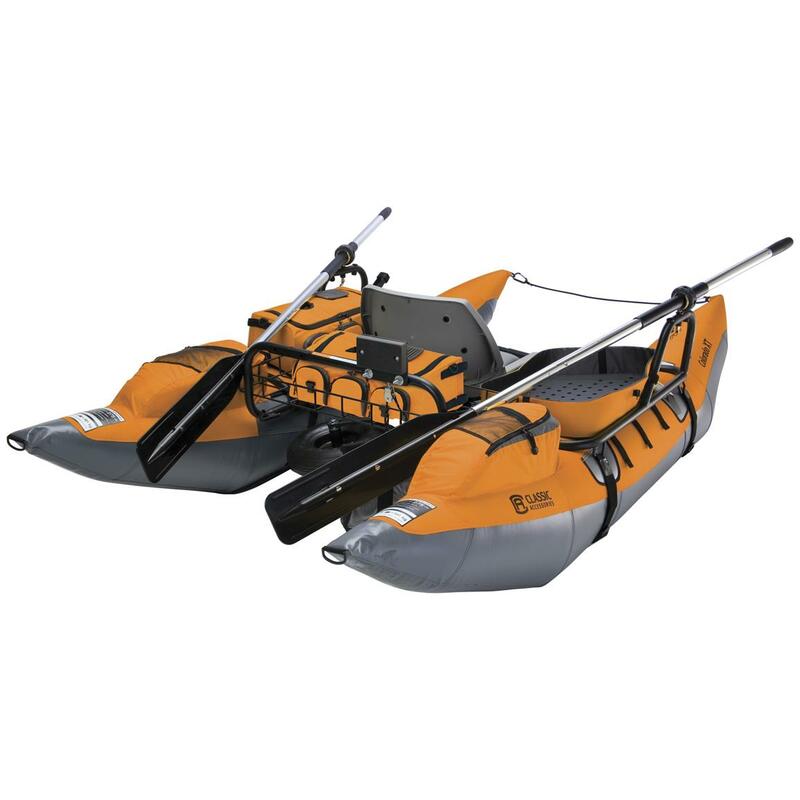 Purchased a Colorado model and added a trolling motor for use in an electric motor only lake. Had a great 3 day fishing trip with my daughter in her kayak. The pontoon exceeded my expectations and performed without any issues. Pontoons will swell if you leave it in the sun so have to be diligent releasing pressure from the pontoon valves. Easy as pie to do! Great trip and great boat. Now my daughter wants one (I may just get another). 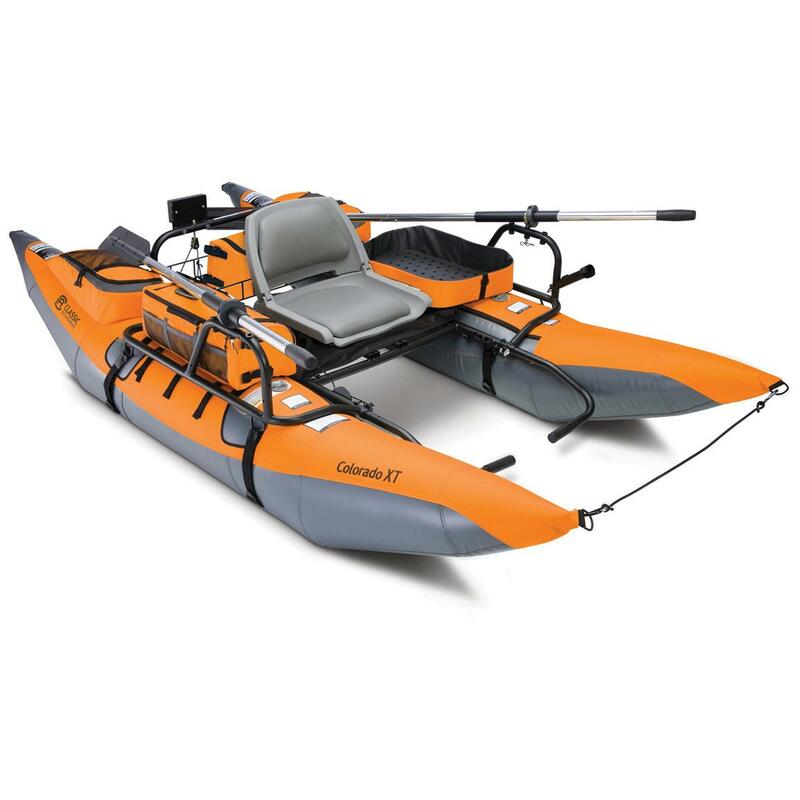 Rated 4 out of 5 by CiTYCoWBoY from Great vehicle to enjoy relaxing and fishing Finally found a decent price online, went ahead and made the purchase and feel it's the best decision I made this year. Rated 5 out of 5 by BSarn27 from Excellent; Big and Tall Approved! I bought this boat a few weeks ago and am pleased with my purchase. I’m 6’9,” weight 315 lbs, and this little boat comfortably accommodates me. It’s easy to assemble, use, and transport. It’s stable in the water and quite sturdy. Thank you, Classic Accessories, for an amazing product. Rated 5 out of 5 by Wvfshn from A must buy!!! This boat has everything. I'm most impressed with the amount of storage. You won't find this type of quality or features at this value in other boats on the market. Rated 5 out of 5 by Montana Harley from Beyond excellent Great boat for an older gentleman like myself, comfortable and sturdy. Easy to load and unload. 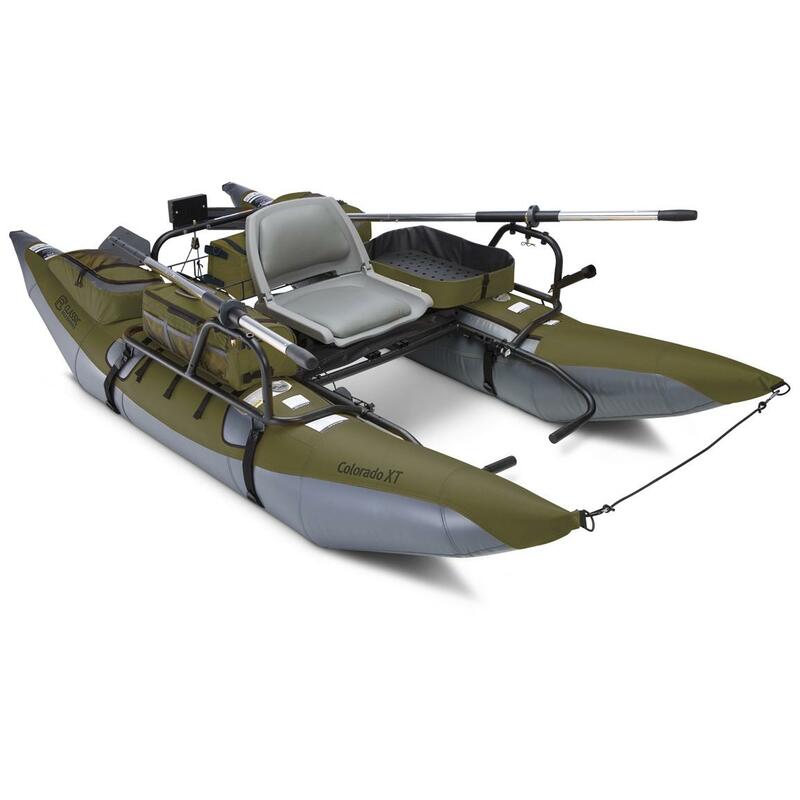 Rated 5 out of 5 by LouS from A great boat I purchased the Colorado XT after researching it and reading many reviews. It is exactly as everyone describe a great boat for fishing. It was received on a Friday morning and was easy to assemble. I took it out on Saturday for its maiden voyage and was very satisfied. I do plan on adding a trolling motor to it very soon. Looking forward to many days of fishing on it. 96" x 54" x 18"d., 130 lbs. Hunt bass where the big boats can't go.